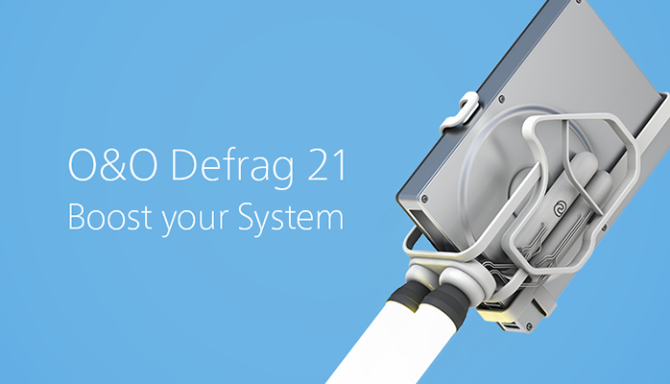 The all-new version of O&O Defrag is here – O&O Defrag 21 Pro! Whenever it saves data, Windows scatters file fragments all over the hard disk and this slows down access times considerably. O&O Defrag lets you merge the individual fragments so that files are then positioned consecutively on the hard disk. The result is faster system starts and accelerated programs. PCs get slower in the course of their use. Two of the main reasons are the fragmentation of files and the storage of superfluous files. The new O&O Defrag 21 addresses these problems and ensures a significant speed increase and more comfortable work on the PC. A life expectancy for a PC of three to five years is no longer a rarity, especially since by Windows 10 many older PCs with a modern operating system can be used even longer. However, this also results in a significant loss of performance in the long run, since the continuous storage and deletion of files dramatically increases the fragmentation, resulting in noticeably longer access times during loading. The same applies to the temporary files created by many applications, which slow but surely “fill” the system and thus also reduce the speed during the daily work on the PC. Let O&O Defrag 21 Pro optimize your hard disks and SSDs, and you will get more speed while saving money on your hardware. For this purpose, the defragmentation algorithms have been improved with a view to saving the system resources and a better strategy when placing the files for even faster file access. In addition, O&O DiskStat is available free of charge for O&O Defrag users as a standalone application for finding and removing large and unnecessary files, in order to be able to clean up with a few clicks in case of storage shortage. As requested by many customers, the O&O DiskCleaner function has been optimized once again in O&O Defrag and now allows for the automatic deletion of superfluous files in combination with a subsequent defragmentation for the maximum gain in performance. Don’t miss out on the many new functions in O&O Defrag 21 Pro! Grab your copy now in our Online Shop, or alternatively test it for 30 days now on your current Windows system – free of charge and obligation. As well as the new functions, the old and trusted features for speeding up your PC and extending the lifespan of your hardware are all there too.